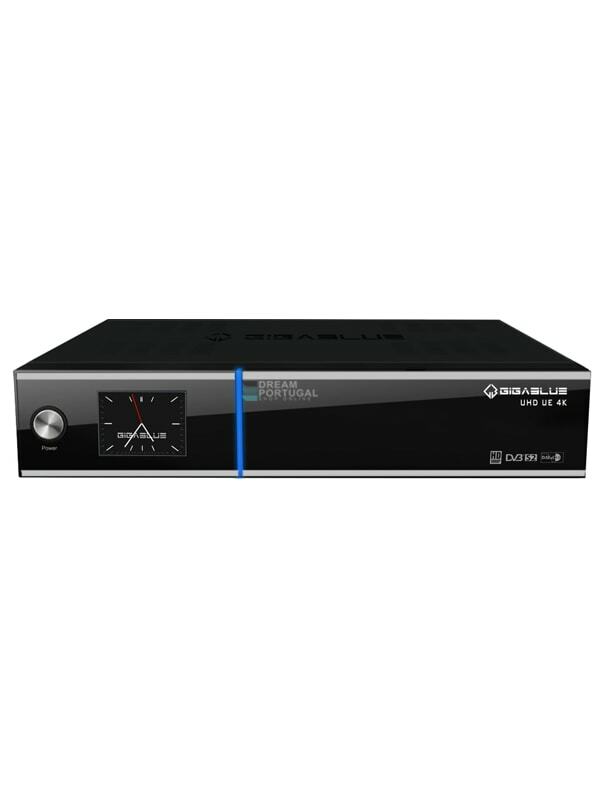 GigaBlue UHD UE 4K - Buy at dreamportugal.pt! We proudly present our latest model Gigablue UHD UE 4K. 1 x Ci , 2 x card reader, larger TFT color display, Gigabit LAN connection, 2 x HDMI, and 3 x USB interfaces distinguish the new series from its predecessor. TWIN LINUX HD TV receiver with hybrid feature. DVB-C/C2, DVB-T/T2 and IPTV offer a versatile use. This flagship product is built in our production facilities and includes a 2 year warranty. Featuring the powerful BCM7352s video processor is capable of playing back anything from video files stored on external USB or e-SATA drive to network based files or IPTV streams. Three high speed USB 3.0 ports and 1 x HDMI will be more than enough for external storage and expansion modules or devices.